This is probably the first thing you observe when you look at a laptop, along with its obvious aesthetics. It is important that you have a clear idea of the size of laptop that you desire. If you prefer laptops that can conveniently fit into your hand bag you might want to consider getting an ULTRABOOK. Most times size often translates to weight, so you most likely will be getting a light laptop if you go for an ULTRABOOK as they often weigh less than 1.7kg. This is a perfect laptop choice if you travel a lot and often have to work on the go. You can easily find ULTRABOOK laptops on most e-commerce site under the Mini-laptop category or the “2-in-1” laptop sections. 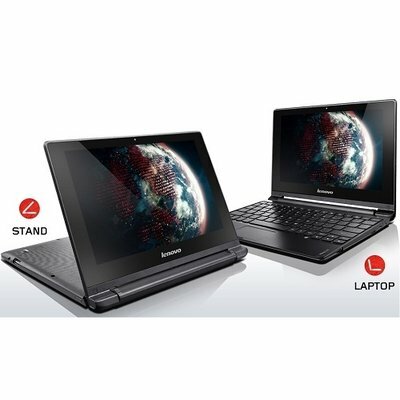 Personally, I recommend the Lenovo IdeaPad A10 in this category. It is a slick laptop and is a good deal if you’re working with a tight budget. This is an important factor to consider, especially when getting a laptop in Nigeria. Some manufacturers have a track record of making strong durable laptops and some simply don’t. You also have to consider how easy it will be to get replacement parts for the laptop in the event that it malfunctions after the warranty period. Some laptops are typically very difficult to repair in Nigeria because of the difficulty in finding their replacement parts. This is where popular brands such as HP and DELL have an obvious advantage. You don’t want to be in a position where you need a replacement battery or screen and can’t find one. In this regard, you might want to stick to more popular brands when choosing a new laptop. This is probably the most important specification to consider because technically a computer is just as good as its CPU. This is what basically determines how well your laptop handles multitasking. You obviously wouldn’t want a slow laptop so you shouldn’t go for any less than a 4 gigabyte RAM. As for CPU, I recommend an intel based CPU (Core i3, Corei5 or Core i7). If you plan to run heavy software and games on your laptop, a Core i7 would be appropriate, albeit expensive. More random laptop users can stick to a Core i3 Processor as it’s often affordable and can handle multitasking quite well. You should also consider the processor speed. I personally prefer laptops with speed of more than 2.00 Ghz. However, anything from 1.70 Ghz should be equally adequate. Most high-end HP 15 laptops often tick all these boxes and you can check them out at your local retail store. In a lot of cases a laptop’s operating system can easily be changed or upgraded but it saves you all the hassles and stress if your preferred OS is pre-installed. Luckily in this department you don’t have a lot of options as you’re most likely either getting a LINUX, MAC or WINDOWS OS (on the rare occasion you might get android). I personally recommend getting a windows 10 OS. It’s by far the most user friendly of the 3 and you don’t have to worry about compatibility issues which is a common complaint with the MAC. You can also get a laptop with the Windows 8 OS also, but be sure it allows for possible upgrade in the nearest future. This is another peculiar specification you must consider, especially when getting a laptop in Nigeria. Considering the power situation, you definitely want a laptop that can give you 5 to 7 hours of power without having to charge. Unfortunately, it isn’t so easy to determine how long a laptop battery will last unless you actually test it yourself. The next best yardstick would be the battery ratings in milliamp-hours (mAh). The higher this rating, the more durable the battery will likely be. Battery life is difficult to judge because batteries will drain depending on your usage. For example playing games on your laptop will drain your battery way faster than typing. Be sure to know what you would most likely spend your time doing on your laptop as it will give you a realistic idea of what to expect from your laptop battery. At the moment the Lenovo Thinkpad appears to have arguably the most impressive battery for laptops in 2016. This might be less of a worry if you are generally a careful person when handling electronics. In reality though, you can only be so careful. Hence, it becomes important to consider the build quality of the laptop your purchasing. You don’t want a fragile laptop that is going break the first time it falls so be sure to go for a durable laptop with impressive build quality. You also don’t want a laptop that is prone to easily showing scratch marks. This is why most people generally go for black colored laptops rather than some silver glossy design. It still boils down to preference, however, as you probably would want your laptop to be easy on the eye but also easy to maintain. Choosing a laptop with a more forgiving build structure will save you the stress of having to buy cover stickers to cover up scratch marks in the nearest future. This is extremely key especially in Nigeria. You shouldn’t just walk into any random store in computer village and purchase a laptop. Even if you’re not buying it completely new or “second hand” as it is often called , it’s still important you buy from a retailer you trust and is willing to offer you warranty on the purchase product. This is very important. Make sure you research the retailer and you’re sure of the authenticity of the product he’s offering. Disk space on laptops might not be much of a deal-breaker in reality. 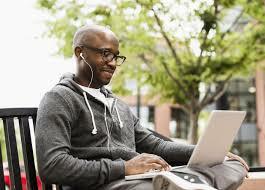 Most laptops come with 500 gigabytes or 1 Terabyte disk space which is more than enough disk space for your files. You can also get an external hard disk if you require more space. As for USB ports, you should only get a laptop with USB 3.0 ports as they make transferring files to your external media devices quicker and saves you time. This is the ultimate decider. Be sure to have a budget and also to keep it flexible over a range. Your budget will be a key determinant of the laptop you will eventually get so keep it realistic and be open to cheaper options if you can’t get your desired laptop with your budget. Also, be sure that your preferred laptop attends to your needs and it’s not just the fancy thing that you covet. Having the right laptop is hugely important and be sure to consider all the factors listed above before splashing the cash on a PC. In the coming days we will be putting a list of the best budget laptops in Nigeria and where you can easily get them.